Shopping the easyfundraising way with City Sightseeing, could not be easier. Follow the instructions below, and create an account today to start supporting a cause or charity of your choice. 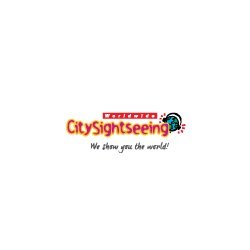 City Sightseeing are the world's leading open top bus tour operator with over 100 tours worldwide for you to choose from. There's no better way to see the heart of the destination you are visiting than with City Sightseeing. From bus tours to walking tours, boat tours to bike tours, you will experience the very best your destination has to offer and all at your own leisure. They're hop on hop off concept allows you to explore at your own pace and spend as much or as little time at each stop along the way.